Hello lovelies, so I thought i'd discuss something quickly with you that I haven't discussed before, i'm not sure how i've been writing this blog for a fair few months now and not even mentioned my complete-utter and ridiculously crazy obsession with anything Marc Jacobs. I wish I could say that this was a sponsored post and that Mr Jacobs will be rewarding me for posting about his products with lots of yummy products sent to my door, but uerrrh, that couldn't be any less true. I love Marc Jacobs, anyone who knows me knows this, I think it is borderline OCD, It's a bit like my Victoria's Secret obsession. I have the headphones, the laptop case, the phone case, the earrings, the watch... you name it, Marc Jacob's packaging engulfs my bedroom... his logo is the background on my phone, it's just not healthy. Every time Christmas and Birthday comes around (which unfortunately for me, is only once a year as I was born three days before Christmas, boo) Marc Jacobs items are always on the top of my list. I'm always like, literally, anything from Marc Jacobs will do. I have actually found myself on the Harvey Nichols and the Selfridges sites at ridiculous hours just browsing over his items. Reading back over what i've just written makes me sound quite spoilt. but I don't think his items are THAT expensive... this is one of the reasons why I love Marc Jacobs so much, the fact that it isn't THAT expensive. Okay, so yeah it's not like Primark cheap or even Topshop cheap (Topshop is not cheap, I don't care what anyone says, it is no longer a store which sells clothes at 'high street' prices, pft) but anyway, it's cheap when you compare it to the likes of Gucci and YSL and other fabulous brands that I see myself lusting after every time I walk into Selfridges or Harvey Nichols. Mr Jacobs allows you to have some designer in your life, without the 'I have to be a WAG to afford this' price tag. Parfait. Basically I got carried away looking at his items and decided to make a collage of my favourite items so that I could show you all, in the hopes that I can get someone else just as hooked and then maybe we can make friends haha. I also just wanted to share how bladdy beautiful they are with you. The photos really do the items no justice, the black clutch in the middle is probably the most beautiful thing that I have ever seen, however at £290.00 I think i'd be crying all the way to the bank. But, if you compare this to YSL's famous clutches which are at least £500, this MJ is actually quite the bargain (hmeeee as Gaz from Geordie Shore would say). I find that his jewlery isn't that pricey though, it's around £40.00 for earings, and up to around £85 for bracelets. For a really special Christmas present, this is okay. I think so anyway. This season he seems to be all about animals, I am slightly in love with his Owl, Zebra and other animal phone cases that he's designed, you can even get matching Ipad cases and USB sticks. I don't even own an IPad yet i've found myself asking for the case for Christmas... just because it's adorable. This man is a genius, he honestly thinks of everything. So there we have it, one girl who is well and truly besotted by anything Marc Jacobs, I really hope that on Christmas day I can report to you all that yes, I now have more MJ to add to my collection. Tell me that I am not alone in this obsession? 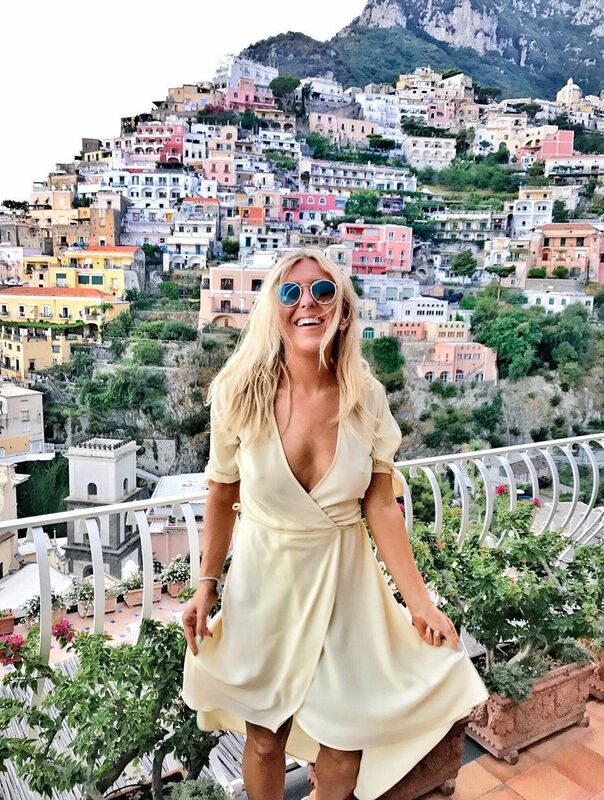 Okay so I either need to win the lottery or take some jewellery to one of those places where you can get cash for gold in order to make some money. 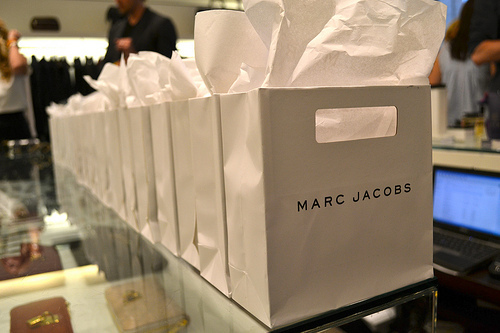 Hopefully that'll pay for a few more goodies from Marc Jacobs. Hopefully that'll pay for a few more goodies from Marc Jacobs. Hooray for Marc Jacobs, please keep your prices reasonable and your products vibrant and different.Yay. And, to make your Christmas a little bit sweeter, I have been told by my incredible sponsors over at HUSHUSH (make sure you check them out here) that they're having a designer bag sale this week, their designer bags collection has up to 40% off. Lucky for us, it features my beloved Marc Jacobs, Stella McCartney, Lanvin and Fendi - what more could you ask for. The sale even includes Lanvin's signature 'Happy' bag, Stella's coveted 'Falabella' style and of course, the essential quilted Marc Jacobs' clutches. You can check out the sale here - be quick. 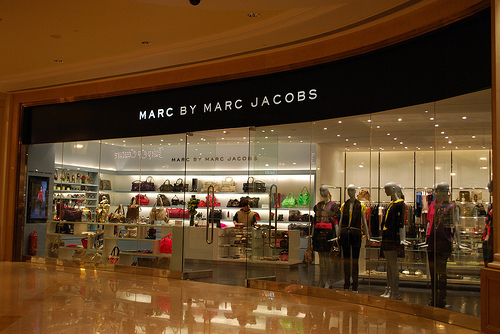 I too adore Marc Jacobs! Everything is just fabulous especially his handbags and i agree his prices are not on the same level as Dior, LV, McQueen & Chanel etc, he is more obtainable like Mulberry, Michael Kors, Paul Smith (who are my favourite designers). Great post! Oh i too agree about Topshop, not only have the stores increased in popularity since opening in the USA, but the prices too. Just found your blog dear. 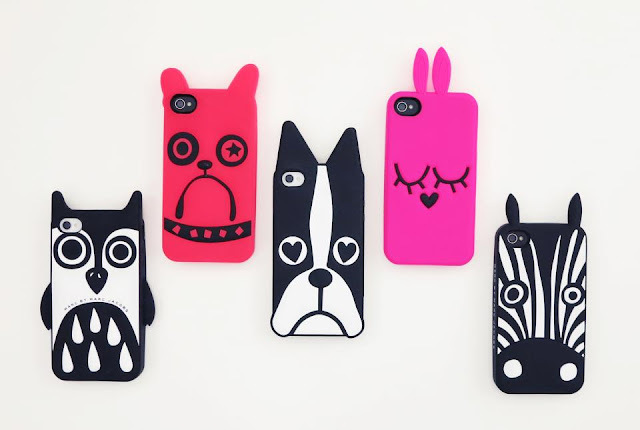 LOVE this iPhone covers from Marc Jacobs!!!! 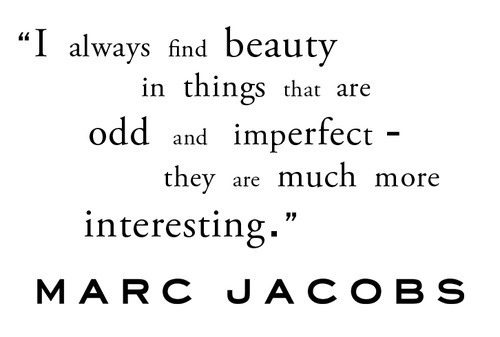 I love Marc Jacobs! Such a talented designer. I love Marc Jacobs, I suppress my need to buy his expensive gear by buying his perfumes! ;-) Although if Santa was to drop one of them watches off that would be awesome! I love me some Marc Jacobs :) I am doing a review on the dog I-Phone case soon. I also got a cute KeyChain yesterday at Macy's and I cant wait to wrap it up for my friend for christmas.